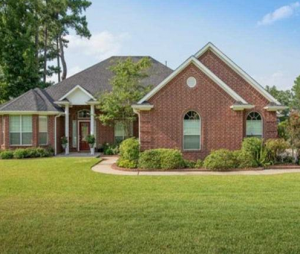 Tall Timbers Estates, a family neighborhood located in Tyler, Texas, is an ideal place to call home. Situated southeast of Dallas, Tyler is close enough to the big city for occasional events, and far enough away to be comfortable and quiet. Tyler has the nickname “Rose Capital of the World” due to the large number of rose bushes in the area, including America’s largest rose garden. Convenient location, outstanding schools, lots of shopping and local attractions make Tall Timbers Estates the perfect place to raise your family. Tyler is served by Tyler Transit that offers bus service throughout the city of Tyler. There are several routes that connect all corners of Tyler with operation six days per week. Tyler Transit also offers transportation service for people with disabilities that are unable to use the fixed routes. Children at Tall Timbers Estates can enjoy an excellent education. Dr. Bryan C. Jack Elementary School currently has a 9 out of 10 rating by Great Schools, and parents throughout the neighborhood rave about how pleased they are with the teachers and staff. At Hubbard Middle School and Robert E. Lee High School, students can expect a continuation of excellent education with classes and programs to suit every student. Tall Timbers Estates is also a quick, twenty-minute drive from the University of Texas at Tyler. Accredited by the Southern Association of Colleges and Schools, UT Tyler offers majors in most common areas of study, including doctoral studies in Nursing as well as Human Resource Development. Enjoy shopping, dining, movies and more at the nearby Broadway Square mall, just a ten-minute drive from Tall Timbers. Featuring more than one hundred retailers including small stores, national department stores, restaurants, and beauty salons, you are sure to find everything you need to feel at home. Pet owners, runners, and bicyclists will love the nearby Southside Park and its connecting trails. Offering miles of paved walkways, there is room for everyone to exercise and enjoy nature. For even more outdoor adventures, nearby Tyler State Park offers picnicking, camping, boating, fishing, hiking, biking, and swimming. The Park offers year-round boat rentals including paddleboats, jon boats, kayaks, and canoes. The park ranger offers tours and educational events, including programs for kids. History buffs and aviation fans can visit the Historic aviation Memorial Museum, located on the grounds of Tyler Pounds Regional Airport. Exhibits include restored aircraft spanning the entire 20th Century, military aircraft, and memorabilia. Tall Timbers Estates is a peaceful, reserved neighborhood in the middle of bustling Tyler. The convenience of Tyler’s amenities make it easy to give your family everything they need. The peace and quiet of the neighborhood will help you relax at the end of a busy day, or enjoy a weekend with friends, family, and neighbors.